The Apple iMac is one of the best personal computers on the market today. If your budgets allows there are very few PCs that come close to the power and convenience of the Apple iMac. Surpassed only by Apple’s own Mac Pro, the iMac is a powerhouse that can easily handle all your day-to-day computing needs. A better gaming rig can be built but, in my opinion, this is one of your best options if your primary goal is something other than games. The display on the 27" iMac is, to put it quite simply, gorgeous. Until you have sat down in front of this machine you have no idea how large and vivid this display is. I’ve owned many monitors of all different sizes over the years and the build-quality and image this monitor puts out is by far the best I’ve seen. With a maximum resolution of 2560 x 1440 with million of colors you will have more than enough screen real estate to keep many windows open at once and visible. This monitor will help streamline your workflow and as an added bonus, movies look amazing at a 16:9 aspect ratio. One of my favorite little extras when it comes to this display is the ability to be wall mounted with the optional VESA mount kit. The display on the 27" iMac is nothing short of fantastic. As I mentioned above you can build a better gaming rig but the 27" iMac is no slouch when it comes to gaming. With its ATI Radeon HD 5670 graphics processor with 512MB of memory (standard) it has more than enough horsepower to run most modern games at medium to high graphics settings. Are you an avid Mac gamer? You might want to pay the extra and upgrade your graphics processor to the ATI Radeon HD 5750 with 1GB of memory (optional) for that little extra kick during those World of Warcraft raids. With a 1TB 7200 RPM hard drive (standard) you will have more than enough storage space for your multimedia files. Need a little extra speed or space? You can opt for a 2TB 7200 RPM hard drive and/or a 256GB solid-state drive. Needless to say the 27" iMac comes with enough space for you to get started and future storage upgrades are as simple as plugging in an external hard disk. One firewire 800 port and four USB 2.0 ports ensure that you always have plenty of room for your peripherals should you decide to expand later. A built-in SDXC card slot is a new addition to the iMac and a welcomed addition for those users who depend greatly on external storage for their other devices. Two thumbs up for Apple for making the addition of a SDXC card slot to the iMac. 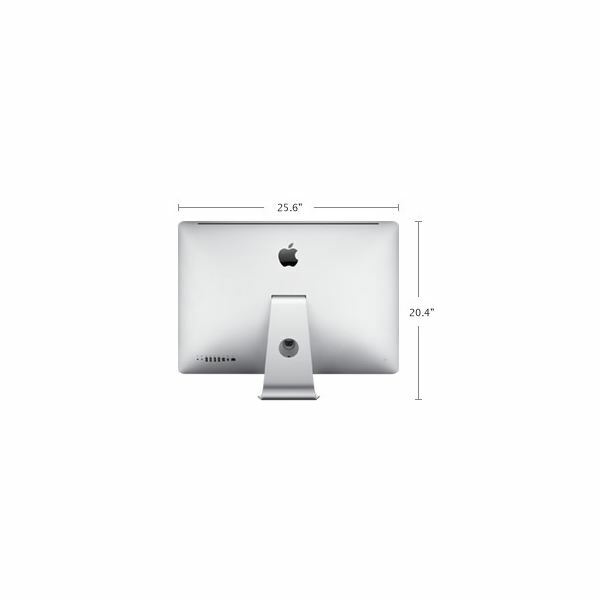 As with all Mac PCs, the 27" iMac comes standard with the Airport Extreme 802.11n Wi-Fi card built-in. Couple this with the built-in Bluetooth 2.1 + EDR wireless technology and the 10/100/1000 Gigabit Ethernet port and your communications needs are thoroughly covered. The audio capabilities of any PC greatly depend on your external amp and speakers. With the 27" iMac you still have your built-in stereo speakers (which sound surprisingly good) and microphone, but Apple has also added two minijacks which take care of all your external digital audio needs. Connect your iMac to an external amplifier and speaker system and prepare yourself for a cinema like experience. Convenience – Everything is built-in but still separately serviceable by an Apple certified technician. Looks – It’s a sleek, modern and impressive looking machine. Excels at Digital Photography – iPhoto (part of the iLife ’11 suite) or Aperture + Adobe Photoshop. Excels at Video Editing – Final Cut Studio + more than enough power to handle all your video editing needs. Excels at Multimedia – iTunes on the Mac is top-notch. Not the best gaming machine but more than adequate for most modern games at medium to high graphics settings. As you can see from this iMac review, desktop computers from Apple are more than enough computer to handle all your day-to-day computing needs. 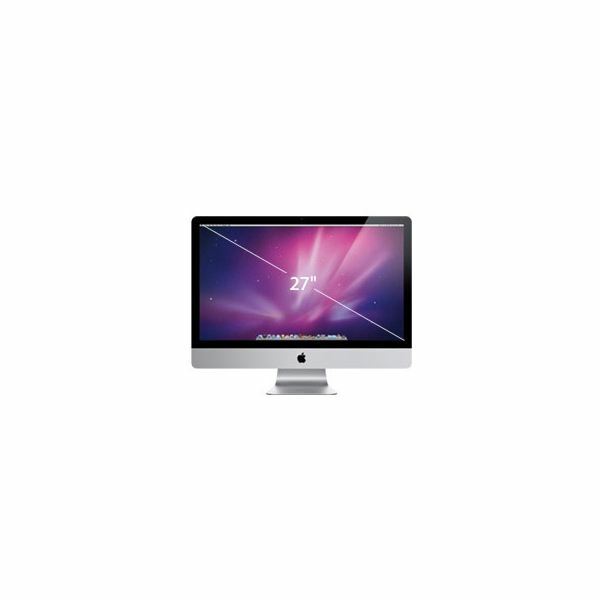 With top of the line hardware, an OS (Operating System) designed directly around that hardware and a 27" screen you will not believe until you see it, the Apple iMac is a fantastic investment. If your budget allows, take the plunge. You will not regret it. All images copyright Apple Inc.